Become a League of American Bicyclists Bicycle-Friendly Community to raise the quality of life, attract and retain talent and cultivate an organic external identity for Wichita Falls. Bicycling already plays an important role in Wichita Falls. The Hotter’N’Hell Hundred race (and its associated events) is both a well-loved local event and a significant part of the region’s external identity. 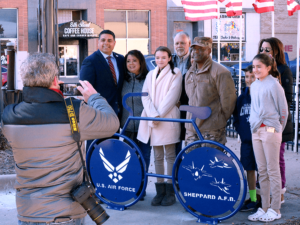 This portion of the strategy focuses on ways that Wichita Falls can become a bicycle-friendly place every day of the year for riders of all abilities, not just serious cyclists. The League of American Bicyclists is widely regarded as the respected authority for recognizing bicycling best practices in communities in the United States. The organization’s Bicycle Friendly Community program provides a “roadmap” for communities to follow in becoming bicycle friendly. Communities who follow the necessary steps and apply can receive a designation as a Bronze, Silver, Gold, Platinum, or Diamond Bicycle Friendly Community. Since the program’s inception in 1995, the League has received more than 1,500 bicycle friendly community applications; 430 communities are currently recognized as Bicycle Friendly Communities with an additional 100 receiving an honorable mention. Bicycle Friendly Communities in Texas include Austin at the Gold level and Brownsville, El Paso, Fort Worth, Frisco, Houston, Plano, Richardson, San Antonio, and The Woodlands at the Bronze level. The core of this strategic approach is built around achieving a Bronze designation for Wichita Falls in the first five years of strategic implementation. The League does not establish exact standards for what constitutes a Bronze, as its designations are based on both objective and subjective criteria. But receiving Bicycle Friendly Community designation generally involves factors such as bicycle-friendly laws, education and public outreach, infrastructure expansion, bike program staff, active bike clubs and signature events, and so on. An action team is in place now and hopes to submit the application for Bronze designation in August 2019.  Attract and retain residents and businesses: Having the option to access jobs, retail, and other amenities without a car is an important factor for many individuals when making decisions about where to live; this is especially true for younger workers.  Increase prosperity for all residents: Supporting and encouraging active transportation can improve public health, create new recreational opportunities, and expand access to amenities.  Enhance the quality of life and quality of place: Enhanced bicycle infrastructure and programming would directly improve connectivity.  Promote inclusivity and equity: For people without access to a car, quality bicycle infrastructure can be an important link to jobs and services. An ambitious citywide program could also help advance revitalization efforts in areas that have suffered from disinvestment. 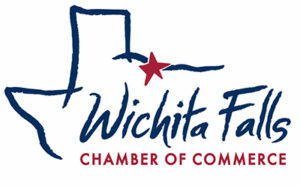  Improve internal and external perceptions of Wichita Falls: Hotter’N’Hell is among the most important influences on the community’s external identity. Leaning into this image could help Wichita Falls stand out in a crowded place-based marketing landscape.